Cultivated, processed & packaged in the South West of France by Nunti-Sunya. The hemp seed is a gift from nature. Nowhere else on earth can we find a seed with such a complete and rich source of protein. Hemp protein contains a total of 18 amino acids – 9 are essential and 2 are semi-essential and are not produced by our body. 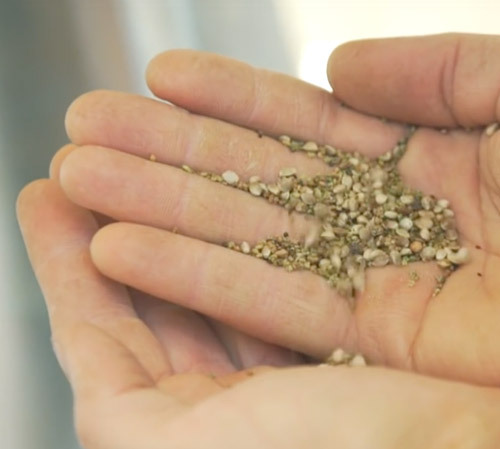 ‘Edestin Protein’ makes up 65% of hemp’s protein content. There is a response to hunger in the world, to over-fertilization, to global warming, the overuse of fossil fuels, obesity, poor health and the weakness of our cardiovascular systems. The answer is hemp. Here are some reasons why..
Hemp is recognised as being one of the best sources of plant-based protein in the world (and more importantly – one of the most delicious!). 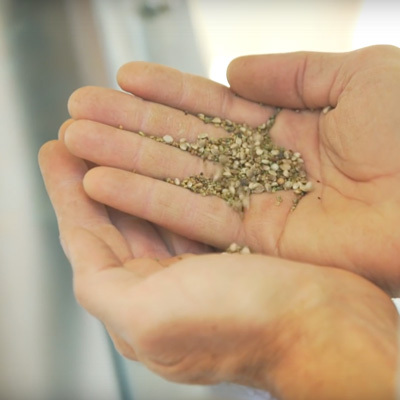 The components of hemp proteins are the most digestible in the plant-based world – they allow full absorption of the full range of amino acids like no other. Hemp protein powder contains an incredibly well balanced composition of the essential fatty acids that form the basis of our immune system. Hemp powder is an extraordinary source of antioxidants, minerals, carbohydrates, fiber and Vitamins. It also contains the perfect ratio of Omega 3 and Omega 6 suited for the human body (1 part Omega 3 to 3 or 4 parts Omega 6). The powder and all of their by-products are all hypo-allergenic. This means that unlike foods like wheat, nuts, dairy etc, hemp won’t cause any adverse effects. Hemp protein powder comes at a lower cost than all other sources of protein. Take a look at the table below for hemp oils detailed nutritional content. Questions about our hemp protein powder..
How long will hemp protein powder keep for? Hemp seeds (almonds) are in fact a relatively stable food. Due to the naturally high level of vitamin E, the effects of rancidity and oxidation are kept at a distance by the seed itself. Our product must be consumed within 14 months from the date of production. Same for oil, oxidation factors are light, heat and long exposure to oxygen. Seed powder or “hemp protein” is much less sensitive to oxidation. Avoid light, heat and long exposure to oxygen. How should I store hemp protein powder? Low temperatures reduce the effects of oxidation. Keeping the husked seeds wide open on the table is not a good idea. It’s good to keep a small amount on hand, obviously, from the time you store the rest in a cool, dry place to keep the product fresh. Too much heat harms the preservation of essential fatty acids. Keeping in a glass jar on the worktop is not good either for long-term preservation. However if you consume seed kernels daily, then keep this amount handy and make sure to keep the rest in a cool, dark place. 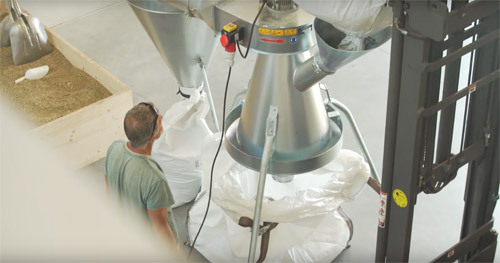 In order to have the freshest product possible, we have selected the Doypack to condition the seed and the seed powder because it blocks the entire spectrum of light and maintains a certain freshness thanks to its PET composition. 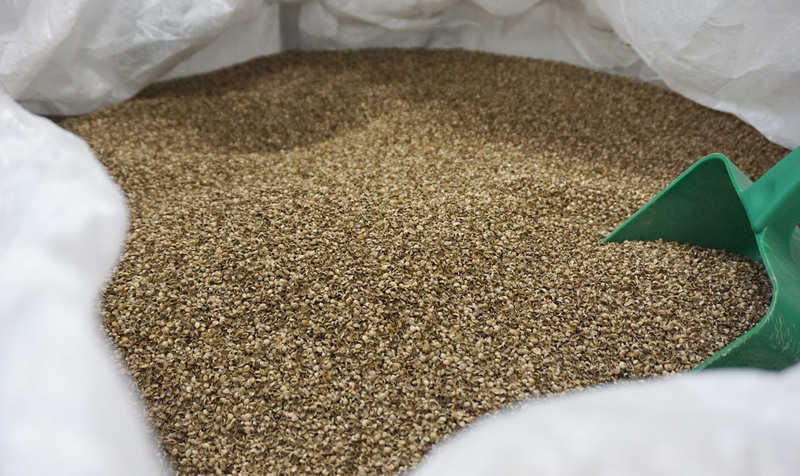 By storing the seeds properly husked, your product remains fresh for over a year. For the oil, we selected a ‘MIRON’ glass bottle which is the only type of glass that blocks the entire spectrum of light and prevents oxidation by light. If the bottles are stored in a cool place: below 15°c, the oil will retain its exceptional nutritional properties for over a year. Our oils are pressed slowly in cold conditions without exceeding 20°c and immediately set to decant cold and protected from the light in stainless steel tanks. If you want to store your oil longer, it will have to be refrigerated, and it will keep its properties beyond the prescribed 14 months. 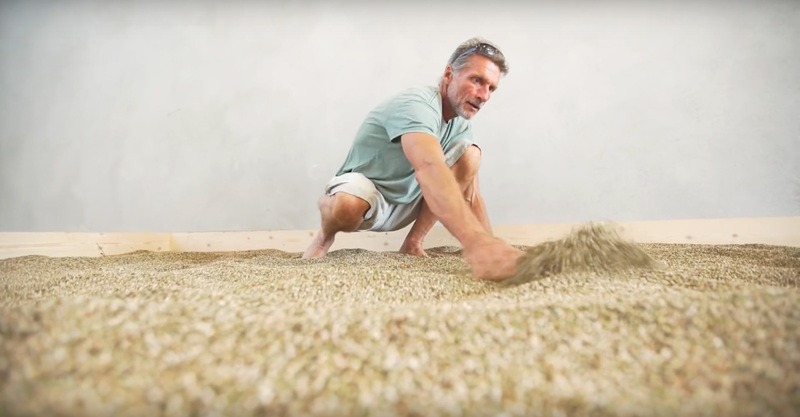 Why is hemp protein so important? 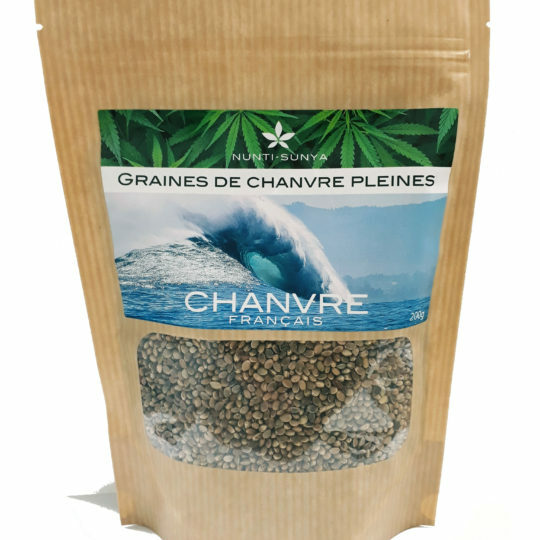 Hemp seed can have up to a 36% protein content and a protein called ‘Edestin’ makes up around 65% of the total protein content – this specific protein aids digestion, is low in phosphorus and is considered to be one of the main protein components used in the construct of our DNA. Almost all enzymes, antibodies, hormones, hemoglobin molecules and fibrinogens are created directly from edestin. The Alpha, Beta and Gamma globulins, intrinsic to our immune systems are also created by edestin. Gamma globulins are our first line of defense against foreign microbes – they destroy everything our white blood requires us to – nano bacteria, viruses, bacteria, cancer cells, dead tissue and more. Hemp and hemp seeds are one of the best sources of Edestin on the planet – forming the building blocks of a incredibly effective immune system. The remaining 35% of hemp protein content is made up from ‘Albumin’, another quality protein which is also found in egg white. Hemp seed is just behind the soybean for the amount of protein per gram, however, hemps proteins are far more digestible. Unlike the Soybean, hemp seeds contain no ‘trypsin inhibitors’ which block the absorption of protein. Hemp protein contains no ‘oligosaccharide’ found in soybean that can lead to digestive problems. What does hemp′s essential fatty acids do to our bodies? Essential Fatty Acids For Our Cardiovascular & Immune Systems. Hemp seed contains an average of 30% fat. 80% of these fats are Omega 3 and Omega 6 (polyunsaturated fats). Due to their anti-inflammatory properties, these fats are incredibly beneficial to our cardiovascular and immune systems. Moreover, these fats do not make otherwise they help burn body fat. 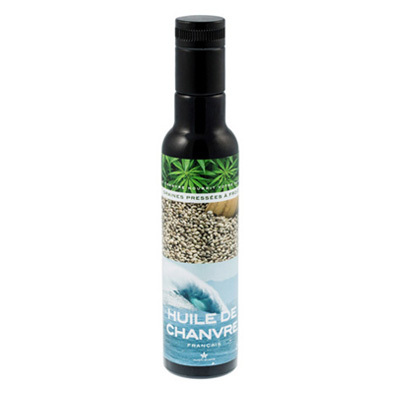 Hemp seed oil feeds the intestinal walls, the kidneys, the lungs, the brain and the eyes. Omega 3 and 6 are present in hemp seed oil in a ratio of ‘1:3’ or ‘1:4’, which is exactly the ratio recommended by the World Health Organisation (WHO). Breast Milk, Spirulina & Hemp: The Highest Sources of Omega 6. Human breast milk is the highest source of Omega 6 (GLA). Spirulina comes in second place, and then hemp. The advantages of hemp over the others is that it’s much easier to consume! Omega 6 (GLA) is an anti-inflammatory amino acid and helps inhibit the production of histamine (too much histamine provokes allergic reactions). More importantly, Omega 6 within the hemp seed assists the whole Endocrine system in building hormones and brain tissue. Which vitamins & minerals will I find within hemp protein powder? Phosphorus, calcium, potassium, silica, magnesium, iron, sodium, sulfur, manganese, zinc, Copper, platinum, boron, nickel, chromium, silver, lithium. They can also contain large amounts of vitamins, commonly E, C, B1, B2, B3 and B6. The outer shell of the hemp seed contains Chlorophyll (the green antioxidant). 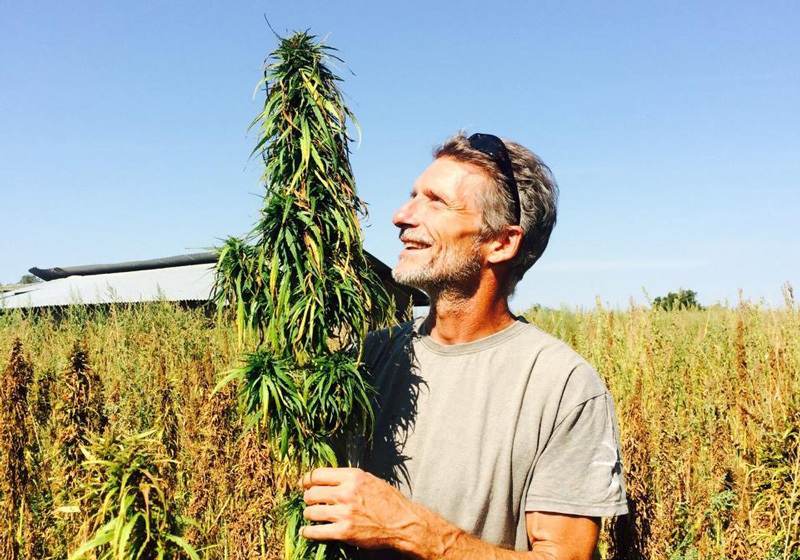 Can hemp oil substitute meat & dairy nutrition? Hemp nutrition great for reducing consumption of meat & fish. Hemp seeds are the perfect food for vegetarian diets as well as for all those who wish to reduce their consumption of meat and fish. The proteins of hemp will meet all the protein and essential fatty acid needs of the body. Human with no bad fats from meat or stomach problems due to soy. Thanks for taking your time to visit Nunti-Sunya.. Here are some explanations to help you get to know us a little better..
We are surfers, windsurfers, big wave surfers & ocean divers. All of our products hold the values ​​acquired after years of playing with the Oceans of our planet. The wave featuring on the front of our packaging is a wave we discovered and surfed for first time more than 15 years ago. It’s located off the coast off Saint Jean de Luz in the South West of France and represents where we come from. With this kind of wave, our intentions must be clear, our approach honest and our heart pure. We apply this same mindset towards our products and our customers. Our mission statement is to feed your / our health, as well as that of our planet and all beings who occupy it. For this process to work, we want to be present in all production stages, from creation to distribution of every one of our products. 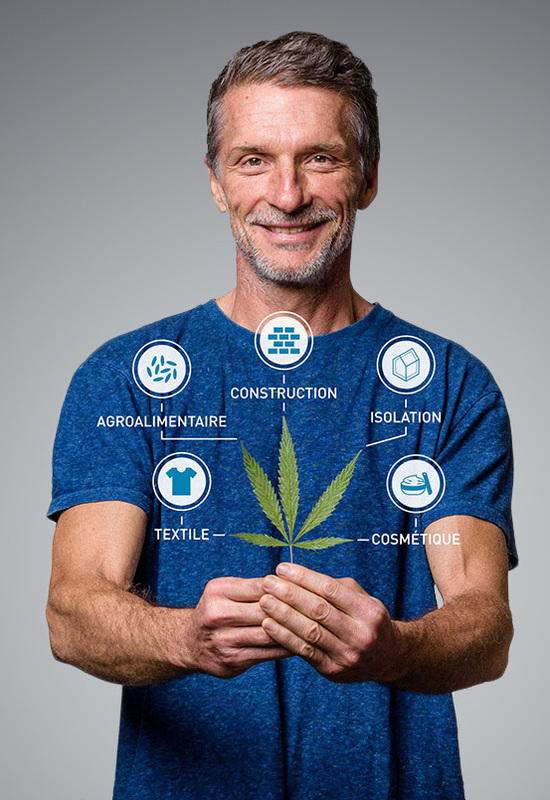 We work with hemp because it represents one of the most beautiful solutions to humanity’s present problems. We always use our own hemps seeds. We then transform and condition the seeds ourselves. This means every product you receive has no intermediaries in the production chain. 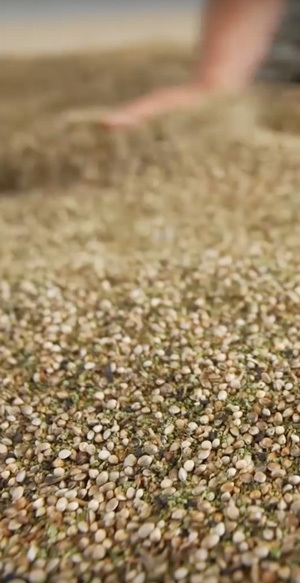 The seed of hemp is the queen of seeds, even alone, it can feed each of us. 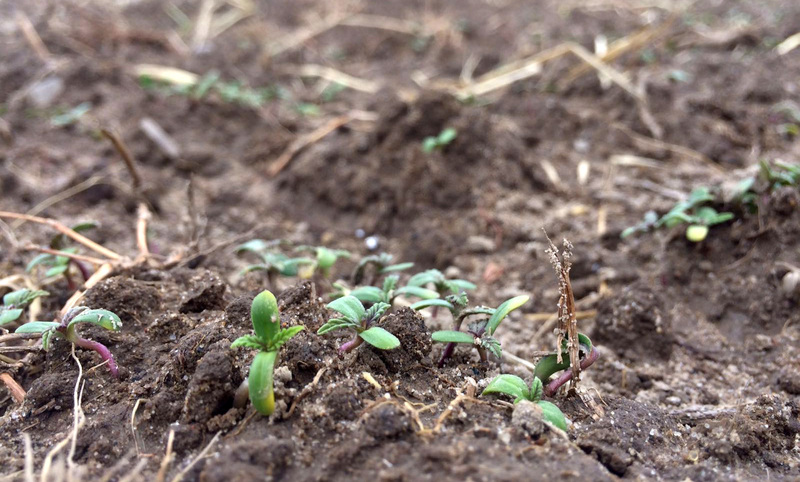 As well as cultivating our own hemp fields, we also work with a group of ‘biologically certified’ farmers. 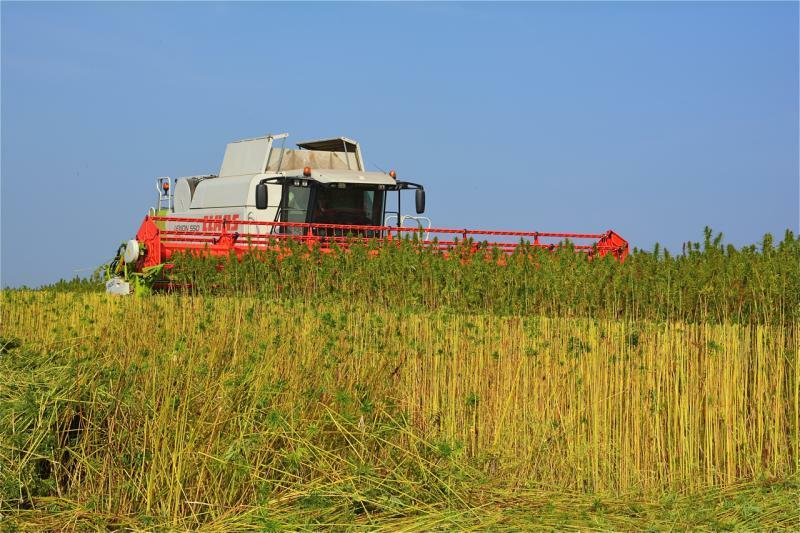 Together, we select, nourish and care for local farmlands, ideal for growing hemp. 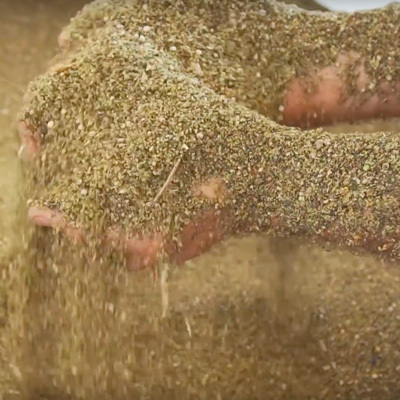 From local, cultivated lands right through to our anti-uv packaging, we work to ensure that our products retain their nutritional properties and taste for as long as possible. We also seek to ensure our products carry the highest energy radiation possible. All of our products are infused with our energy, intentions and more. They are “Enlightened” according to ancestral practices that integrate mechanics and universal energy. 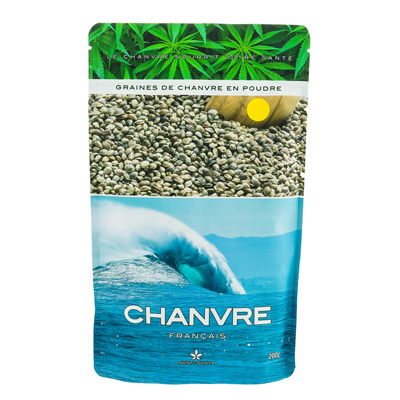 Our product range is made from 100% hemp seeds. In the future we will expand it with: milk, pâtés, vegetables, yogurt, cereal bars and more. We dedicate these products to the network of organic stores that work to feed & care for our Health. You will not see our products present in any supermarket or on any other online shop. This approach is unique but seems essential to honor this sacred plant and all those for whom it is intended. All of us here from Nunti-Sunya thank you for participating in this adventure. We put all our energy into your service so that together we can serve and honour all humans and build a world we’d be proud to leave to our children.